A Lady Reveals Nothing: Why, Ryan, WHY??????? O M Geee Kady, I am SO SORRY! Are you doing OK? I'm always here to talk, any time. Ryan, first of all, it was really hurtful to find out this way. And second, you look a little smug, don't you think? After all we've been through? I just don't get it. What does she have that I don't have??? ** Sarah Lindahl, I posted that never-before-seen bikini photo just for you. I can't thank you enough for the never before-seen bikini photo. 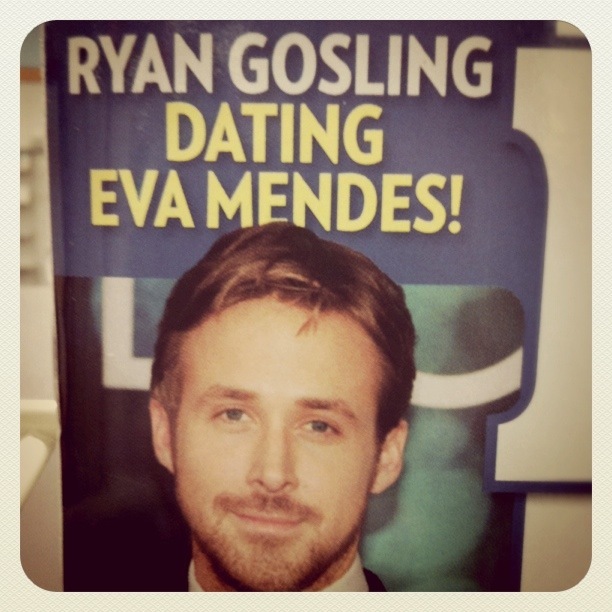 Eva Mendes? Really? What's so great about her. I don't see it. Wow, this waterfall photo is even worse than the other one you always use. I'm so glad that you posted it!! Also, Ryan is crazy to choose her over you! I don't think you should be talkin' 'bout my cauliflower elbows anymore. I think he's just using her to make you jealous. This made me laugh harder than http://awkwardfamilyphotos.com! Seriously.